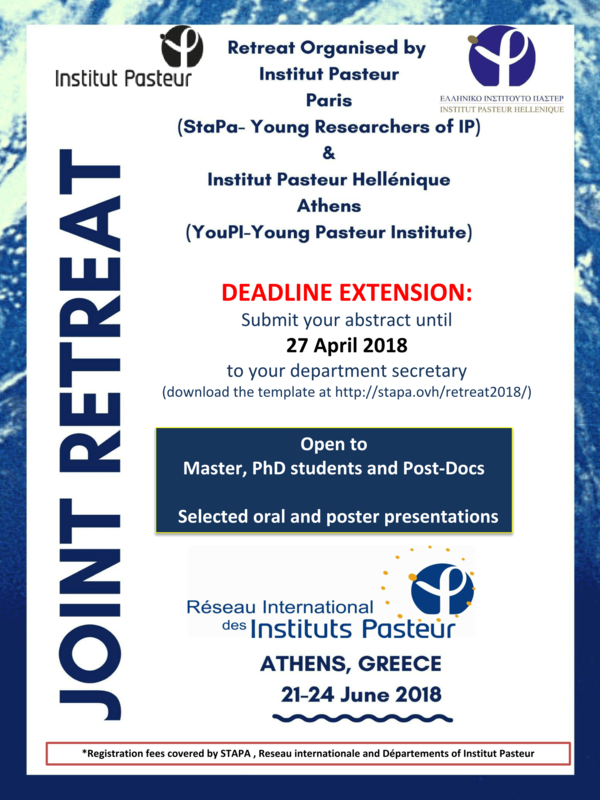 If you are still undecided if you should apply for the Join Retreat with Institut Pasteur Hellenique in Athens, this is your chance! The deadlines were extended in one week to assure that everyone will have the opportunity to present their work to their young peers. This is the first joint retreat with an institute within the Pasteur network. The retreat will be in Athens from June 21-24, 2018. As in our previous retreats there will be poster and oral presentations from both the institutions and plenty of opportunity to network with people from both the institutes and the keynote speakers, from a diverse number of fields. 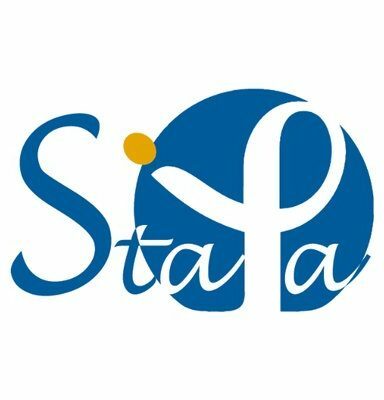 This event is completely funded by the respective departments, Stapa & International network of Institut Pasteur. We will make all the arrangements for travel, food and stay during the course of the event. We invite all the Masters students, PhDs & PostDocs to submit the abstracts and please mention whether you would like to give a poster or oral presentation, before 27 April 2018. You are automatically registered when you submit your abstracts to us. So, what are you waiting for? Download our abstract template, type away an excellent abstract and send it to your department secretary. If you have any further questions during the course of this retreat, please contact any of the committee team, named below! We will be happy to answer you whenever we can. Looking forward to reading your abstracts & having excellent retreat with you all.